Sharp and very well defined cubic crystal. It is very bright and it is aerially implanted on a matrix of white volcanic rock. 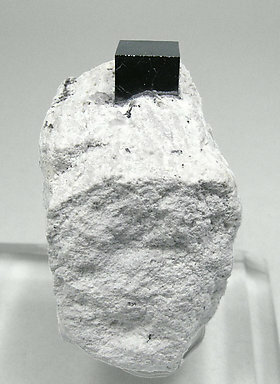 Group of extraordinarily large cubic crystals of Bixbyite. 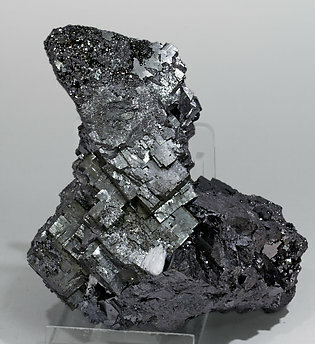 They are very bright and form polycrystalline growths, with small crystals of Hausmannite and small white coatings of Celestine. 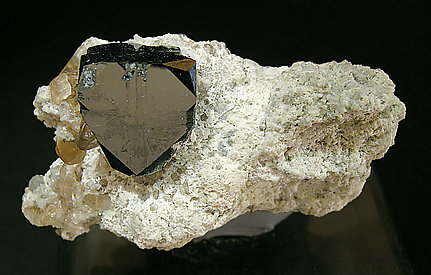 Aggregate, on a rocky matrix, of very transparent and bright Topaz crystals with very well defined cubo-octahedral Bixbyite crystals with a rare laminar shape. Small crystals of Hematite coat some faces of the Bixbyite crystals. An excellent thumbnail, very esthetic. Great Bixbyite with large crystal size, perfection, and good position on the matrix. 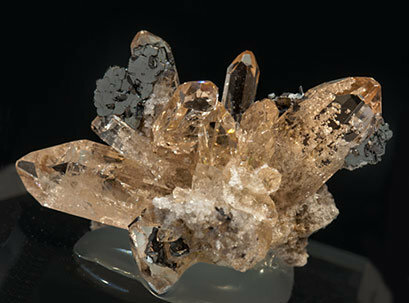 There are also some small crystals of Topaz. In general we can say that it is among the best for the species. In fact it is a phenomenal specimen.